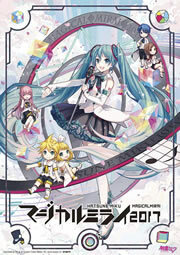 In its first update in over 2 years, MikuMikuDance has finally received another updated release on June 1st, 2013. Development for the highly popular animation tool was ceased in mid-2011 by its creator, Higuchi U, after he added support for PMX format models. This sudden announcement comes as surprising news indeed. Perhaps he may pick up further development of the program. • Improvements to program speed and response time. • Improvements to stability, bug fixes. • MMD now remembers your last open and save folder locations. WARNING: THERE IS A REPORT BY HIGUCHI U OF AN ILLEGITIMATE COPY OF THE NEW MIKUMIKUDANCE FLOATING AROUND CONTAINING A VIRUS. PLEASE ONLY DOWNLOAD THE PROGRAM FROM ITS OFFICIAL SOURCE, LINKED BELOW!